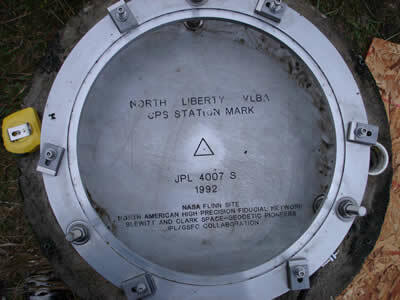 The North Liberty, Iowa (NLIB), Global GNSS Station is one of the longest running GPS stations (March, 1993) in the GGN network, as well as being a reference frame site. The antenna mount is a JPL ring mount, in which the choke ring sits (see Figure 2). One main issue in upgrading the station is that this mount prevents the use of a calibrated antenna/dome combination, which is now a requirement of the IGS. In order to replace the failing AOA choke ring, a new mount was designed, fabricated, tested, and installed. Prior to installing the mount at NLIB, the mount was determined to have roughly a one degree offset from the bottom to the top, which translates to roughly a 1-3mm horizontal offset. We believe this offset is due to the heating and subsequent warping of the plate when the pole was welded to it, as the plate is only 3mm thick. If this mount is going to be used at other sites which contain the JPL ring mount, we believe using a thicker plate would alleviate this offset. The new mounting system accommodates the use of a SCIGN mount, choke ring antenna, and a short or tall SCIGN dome, which will make any future hardware replacements relating to the antenna or dome, much easier. The specific combination that has been installed was previously un-calibrated and no absolute phase center values were available. UNAVCO decided to obtain robot calibration results and sent the Topcon CR-G3 choke ring antenna and short SCIGN dome to Geo++ for calibration. In order to precisely document any offset from the mark, a tripod was setup and centered over the mark (shown in Figures 3 & 4). 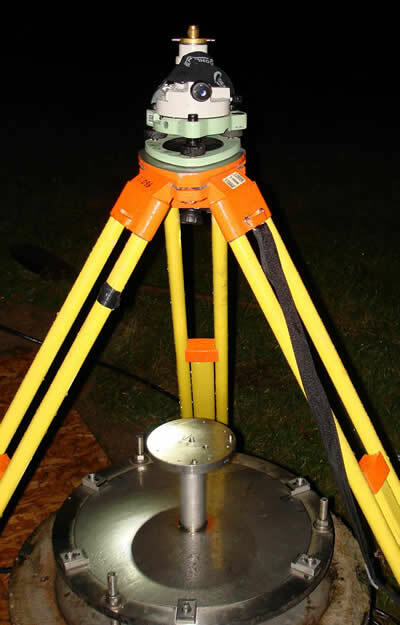 Once the tripod was level and centered over the mark, the new mounting system was then installed, first with only the bottom plate of the SCIGN mount (the bottom plate contains the mark contained within the SCIGN mount), and the offset between the two marks was then observed. The existing mark is located ~1.5mm South of the new mark (Figure 5). Also during this trip, a new 400ft LMR 600 antenna cable in conduit was also installed, completing the upgrade of this station. 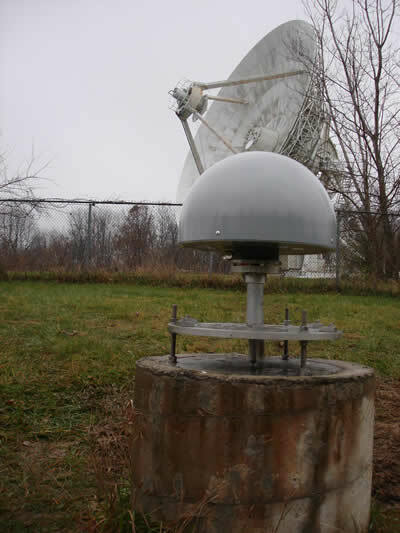 Figure 1 - Upgraded NLIB monument with new mounting system, SCIGN mount, Topcon CR-G3 choke ring antenna, and short SCIGN dome. Figure 2 - JPL ring mount shown. This type of mount can be found at a number of GGN stations which are also reference frame sites. Figure 3 - Shows tripod centered over existing mark, and observing the difference between it and the new mark contained within the SCIGN mount. 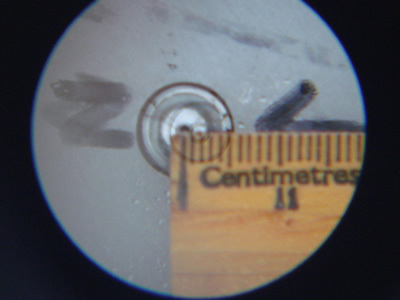 Figure 4 - Photo taken through the viewfinder of tribrach and demonstrates that the tripod was centered over the mark. 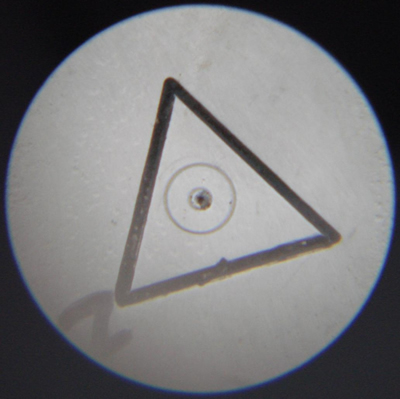 Figure 5 - Measured difference of SCIGN mount dimple and optical plummet, ~1.5mm.